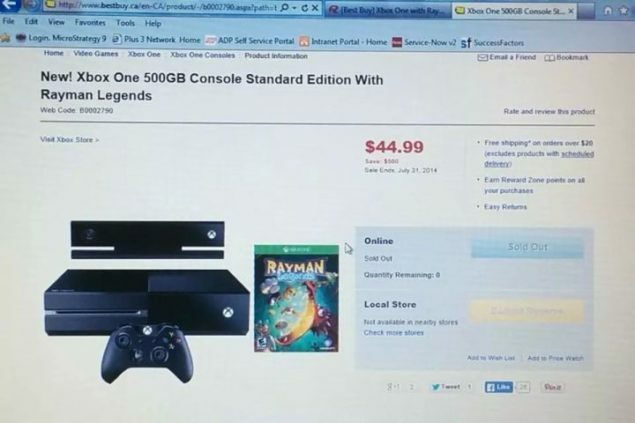 It appears that some lucky Canadian gamers availed the one-time opportunity of their lives today when they logged onto Best Buy, which is one of the most well-known online multinational consumer electronics retailers, and stumbled upon a listing for Xbox One console bundled with Rayman Legends, going for just $45 CAD. Yep, you read that right, one whole brand new bundle of Microsoft’s latest video game console going only at the price of a new game disc. The listing was first discovered and made public by a Reddit user known as Z3ppelinDude93, the one who posted the image shared above. Of course, Best Buy has corrected its mistake and the price has now been converted back to normal, but those few lucky gamers who managed to grab this deal of a lifetime are now being discussed in the Reddit thread. “Almost all of the orders were cancelled but a lucky few made it to pick theirs up,” wrote the original poster. Several commentors said that Best Buy reserves the right to cancel any placed orders and so those who ordered it for delivery might not be able to get their hands on it, but some users mentioned that it is not necessary to order online for delivery, rather, the trick is to order online, reserve at a local store, and then rush over their to put your hands on the astonishingly cheap Xbox One console that you just became an owner of for nothing. 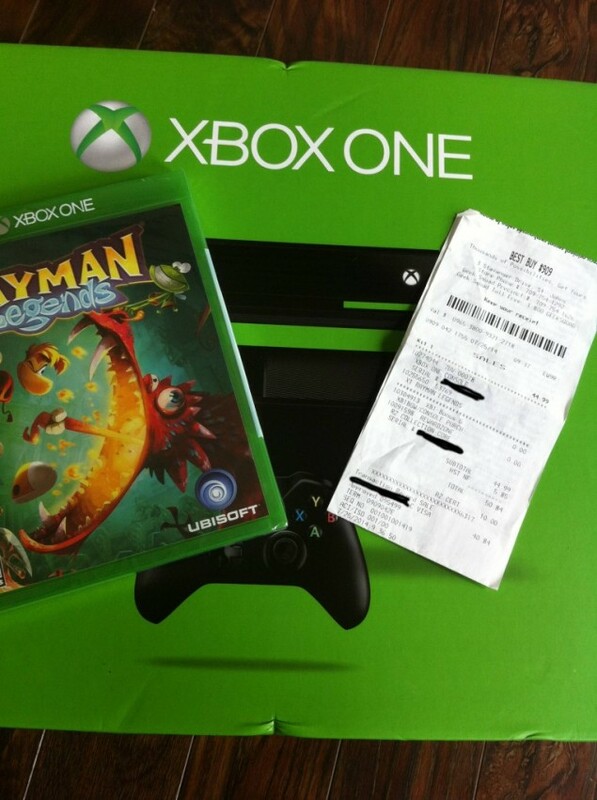 One of the users, known as LoveSalad, who actually managed to claim his $45 Xbox One console with Rayman Legends came up with a proof by posting a photo of his shiny new console along with the receipt. You can see the image below.